Another of Steltz's pieces. Photo via Kelly Steltz. 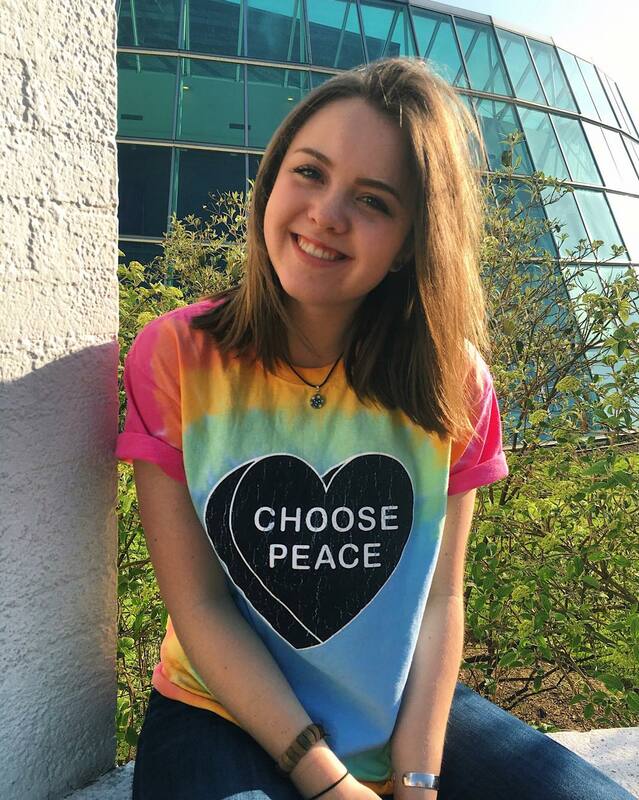 In this current technological state of the 21st century, theatre and studio art major Kelly Steltz ‘21 has found a way to reconnect not only with themselves, but all their audience and nature’s glorious serenity. Pyrography, more commonly known as wood burning, is an art form that’s recently caught the attention of Pinterest, interior decorators and anyone remotely interested in the aesthetically pleasing. For Steltz, an artist who typically works with pastels, watercolors, pens and oil paints, this art form almost seemed like a natural new direction for them to follow in their artistic journey. They discovered this unique and stunning art form when walking down a craft store aisle in their senior year of high school and stumbling across a book about the craft. Pyrography artist Kelly Steltz ’21. Photo via Kelly Steltz. 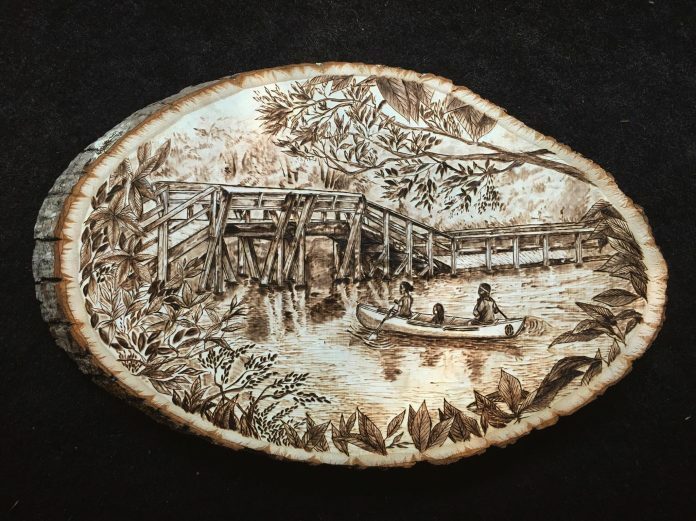 Steltz started creating intricate depictions of nature and animals on pieces of wood that ranged in size from as small as a saucer to as large as a cheese platter. The wood slabs are called cross cut sections because they are made by cutting across the trunk of a tree. Depending on Steltz’s final vision for their piece, they do a light sketch of the picture onto the wood, then use the wood burning tool, which has four different tips to provide versatility in the art’s appearance, to burn the picture permanently into the cross cut section. Depending on the size and complexity of the image, the finished products take a minimum of four hours per piece. After their first few works, Steltz began receiving many commissions from people inspired by their artistry. However, Steltz doesn’t usually accept these offers anymore because they felt as though they needed to explore this new medium more with what actually inspires them, such as nature, bridges, water, trees, places where they’ve grown and spaces they’ve occupied in mind. “I love exploring and making art about the places that have built me and in doing so, I’ve become more aware of the reciprocal relationship that each of us has with the places we inhabit. Working through a composition allows me to better understand what has contributed to how I’ve conceptualized a space beyond the time that I’ve spent there,” said Steltz. For example, one of Steltz’s works was a beautifully done image of a bridge surrounded by trees that they said was a depiction of a spot at a camp they worked at every year. 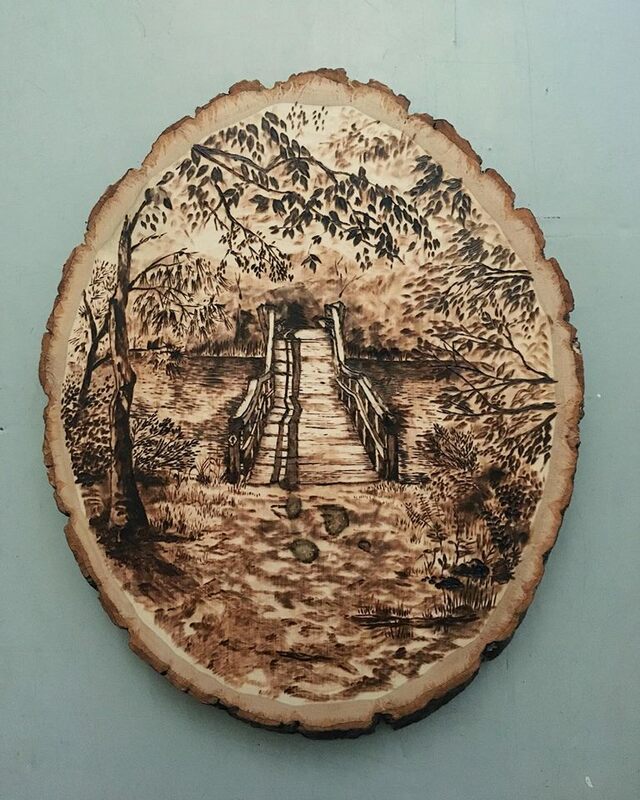 One of Steltz’s pyrography pieces. Photo via Kelly Steltz. “I love things that fill the whole space, such as landscapes or places that are very important to me or to people in my life,” said Steltz. Despite the fact that Steltz says they’re still working on where they’re progressing directionally in their pyrographic endeavors, they have plenty of time to explore the art form in their three years remaining at Muhlenberg. Although they say that “there is so much pressure to ‘make something’ of your art,” their miraculous works clearly indicate that they already have “made something” of their wonderfully brilliant talent. They look forward to exploring the concept of bodies and homes as concrete structures not applying to those who identify as queer, and subsequently discovering their own understanding of their queerness and personal spaces through their coming works.